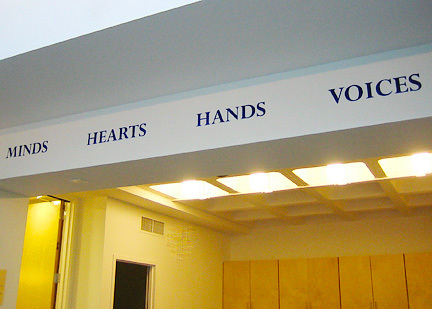 An esteemed San Francisco boys school chose to have their school motto hand painted on a crosspiece of their office wall, facing directly out the large piture window, to be seen from the street. The head of School and Development Director chose the font and color from samples presented. San Francisco, Ca. For more images of this project, click link below.